The US blocked Israel’s participation in the Global Counterterrorism Forum’s, due to fierce objections from Turkey. The United States blocked Israel’s participation in the Global Counterterrorism Forum’s (GCTF) first meeting in Istanbul on Friday, despite Israel’s having one of the most extensive counterterrorism experiences in the world. Israel was excluded from the meeting due to fierce objections by Turkish President Recep Tayyip Erdogan, a Washington-based source told Globes news. 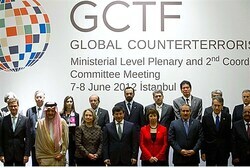 Twenty-nine countries are participating in the GCTF, ten of which are Arab and/or Muslim countries. “The GCTF sought from the outset to bridge old and deep divides in the international community between Western donor nations and Muslim majority nations. And it has, I think, done that quite effectively,” a top US official said at the press briefing prior to the opening session. Republican politicians claim that since one third of the GCTF’s members are Muslim countries, the Obama administration is trying to deepen ties with the Muslim world at Israel’s expense, Globes noted. “Our idea with the GCTF was to bring together a limited number of traditional donors, front line states, and emerging powers develop a more robust, yet representative, counterterrorism capacity-building platform. A number of our close partners with considerable experience countering and preventing terrorism are not included among the GCTF’s founding members,” a State Department spokesman said in response to questions about Israel’s exclusion from the GCTF. “We have discussed the GCTF and ways to involve Israel in its activities on a number of occasions, and are committed to making this happen,” he added. Pro-Israeli sources say that the Obama administration decided to ignore the fact that Turkey, which has a key role in the GCTF, opposes calling Hamas a terrorist organization, even though the State Department lists it as such. In May, Turkey blocked Israel’s participation in a NATO summit in Chicago and maintained that NATO–Israel relations cannot be restored until Turkey-Israel relations are normalized.